A beautiful model who should have been watching her figure never dreamed that one little piece of candy could kill her. But it did. 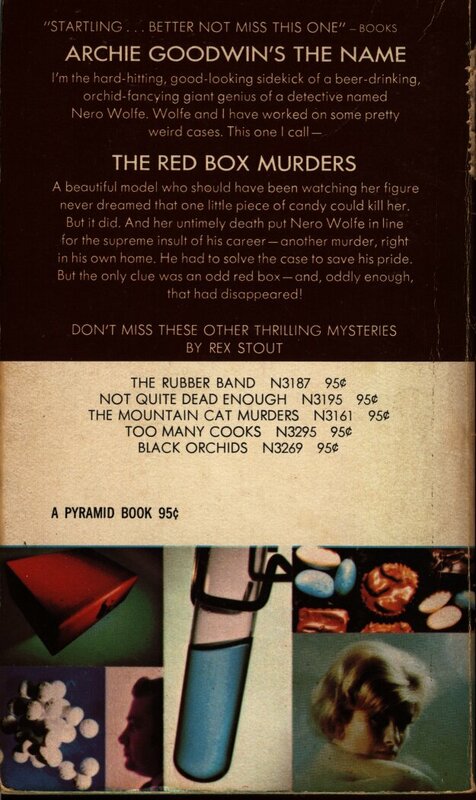 And her untimely death put Nero Wolfe in line for the supreme insult of his career — another murder, right in his own home. He had to solve the case to save his pride. 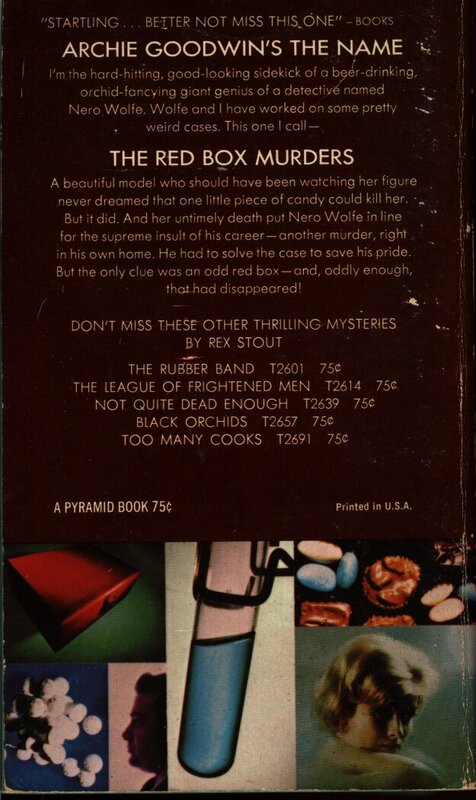 But the only clue was an odd red box — and, oddly enough, that had disappeared! A mind-boggling gem of mystery and detection! 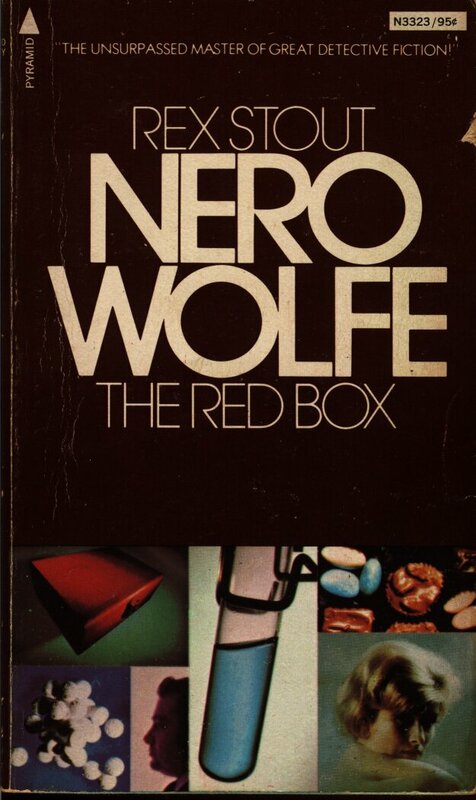 Note: The publishing information on this book shows it as a Sixth Printing – March 1974, but the other two copies I have both show publishing information of Sixth Printing – May 1972. The book number and price of the other 2 are T2708 and $0.75 – where this one is N3323 and $0.95. So is this a mid print change with 2 years between or is this actually a Seventh printing? Other differences are the white rectangle around the book number and price and a white band in the middle of the back highlighting the other books offered and the price. Any ideas? 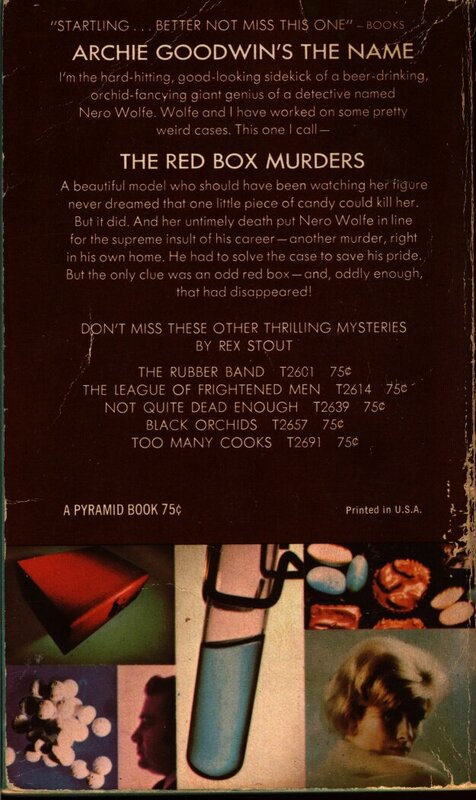 The following is an excerpt from NERO WOLFE of West Thirty-Fifth Street by William S. Baring-Gould pertaining to THE RED BOX. Things were slow for Wolfe and Archie in late 1935 and early 1936. 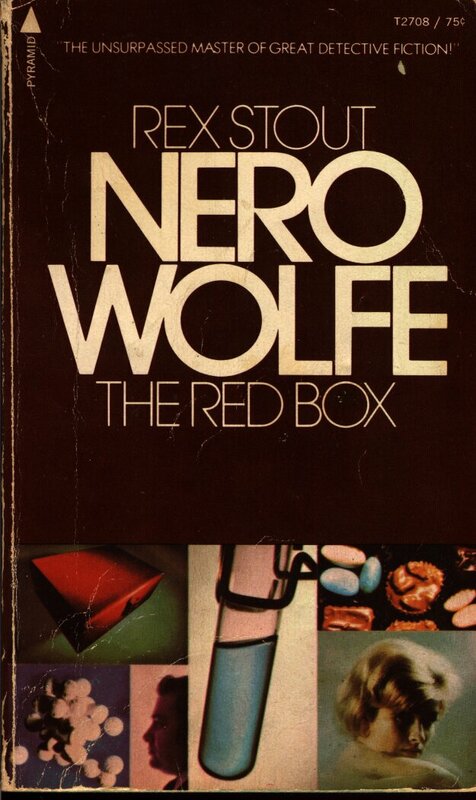 “we haven’t had a case that was worth anything for nearly three months,” Archie complained to Wolfe. Then Molly Lauck was poisoned (hydrocyanic) on Monday, March 23, 1936, at the offices of Boyden McNair, Incorporated, on Fifty-second Street and Madison Avenue. A week later, on Monday, March 30, the theatrical producer Llewellyn Frost brought Wolfe into the case. It was one in which Archie rather enjoyed himself—the fashion models Boyden McNair employed were all very attractive girls—but Wolfe was miserable. Circumstances forced him to visit the scene of the crime, and none of the chairs at Boyden McNair fitted him; what’s more, he despised the brand of beer sold at the nearest delicatessen. 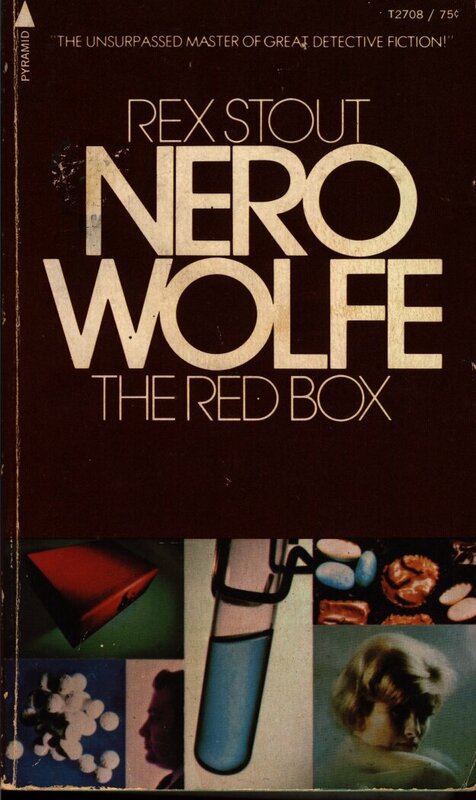 Perhaps because of his physical discomfort, Wolfe solved the case in close-to-record time—on Saturday, April 4.